Blogger: Jahn Frederik Grue, medical student. 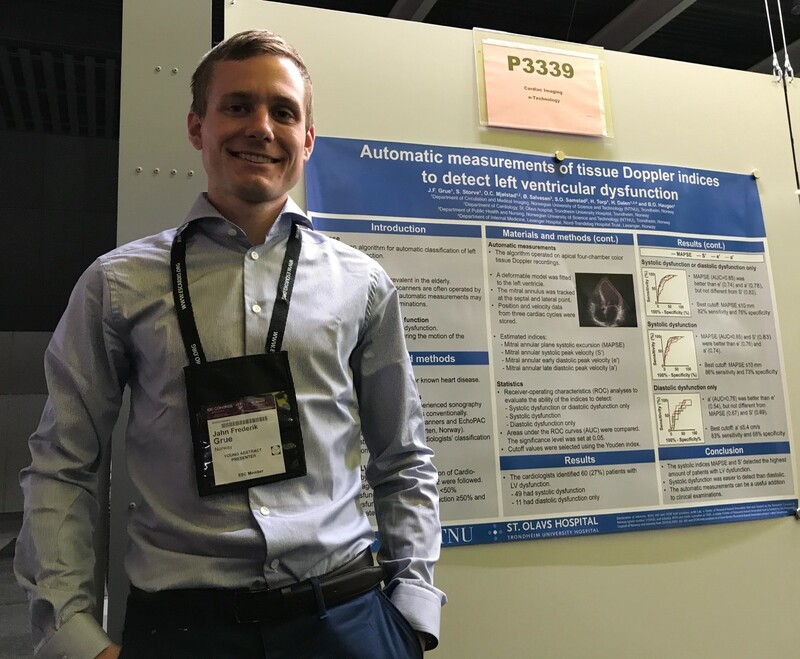 Using an application developed at NTNU, helps physicians detect more patients with reduced heart function when assessing heart pump function in patients with suspected heart failure using ultrasound. Heart failure is a common disease among the elderly. Increased use of ultrasound of the heart or echocardiography, in primary health care can result in faster diagnostics and treatment. 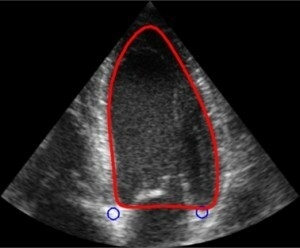 A hurdle is that echocardiography is a challenging methodology, especially for inexperienced users. A possible solution could be automatic measurements that tells the examiner if the imaged heart pumps well or not. At NTNU, we have developed an application that measures movement patterns of the heart automatically. We tested the method on more than 200 patients, who were examined by experienced cardiologists, evaluating the true pumping function. The author presenting the results at the European Society of Cardiology Congress poster session in Barcelona. The application was run on images taken by the cardiologists and we investigated if the automatic measurements could be used to detect reduced heart function, and how the method performed compared to the experienced cardiologists. The results were promising, as the automatic classification was correct in about 80% of the patients. The results will be published in the respected journal Ultrasound in Medicine and Biology. 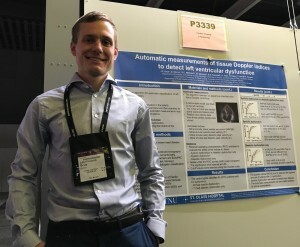 An oral presentation of the work at the Norwegian Society of Cardiology was awarded the best scientific presentation.